Holding an open house is a crucial part of the selling process, this is where you get a chance to showcase potential buyers the best features of your property and convince them to make an offer. If you are just making plans for an open house, below is a detailed checklist of what should be done to increase more viewers and initiate the much-awaited sale. 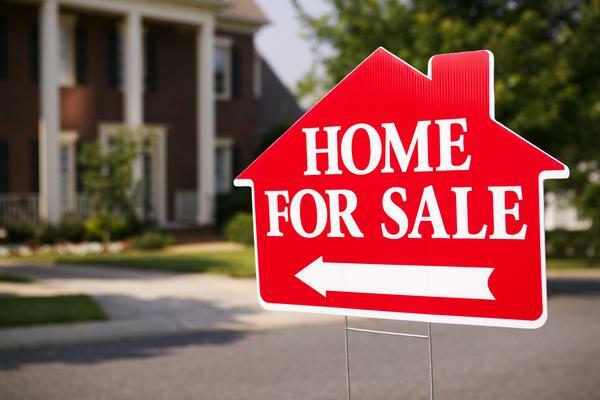 Spreading the news that your property is for sale can be very stressful, especially if you don’t know the best marketing approach to entice potential buyers. In today’s advanced technology, it’s necessary that you make your ads visible online. Promoting via social media channels is also a good start to connect to interested buyers. When using these marketing channels see to it that you have enough quality photos to give, plus a catchy description about your property. 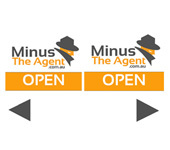 When you choose Minus The Agent you get listed on all the top real estate websites and your property gets promoted through our social media channels. Choose a strategic location to place your signage on your property where it can be easily seen by passers by. If possible put the open home signage at least two hours prior the open house schedule to give chance to passersby enough time. Although there is no strict rule on the number of signs that you can use for open homes, the modest number that will ensure you get more interested viewers for the open house, and ensure you place them around your local area to direct buyers to your door. The successful turnout of a number of viewers coming to your open house could depend on your chosen days. As much as possible set them on weekends to give potential buyers more time to view your property and for at least 45 minutes. Handing out brochures would come pretty handy during a busy open house. Brochures will give all the information that a potential buyer might have overlooked at the actual home viewing such as the size of the property in square footage, selling price, number of bedrooms and contact details for making follow-ups. Brochures will also help remind the buyer of your property. As a buyer would have normally looked at more than one home for sale. Now that you have the essential marketing tools to advertise your property, the next challenge is preparing your home before the actual open house. Don’t make delays at this phase if you really want to find a real buyer. Remember, you need to impress anyone coming to view your property and doing the following could fast track a closed sale. Do the necessary maintenance to ensure your property is in the best condition such as repainting the interior and exterior walls, mowing the lawn, cleaning the entire place and fixing the flaws (leaky faucet, wobbly door knobs or chipped tiles). Create easy access to all potential buyers when going to your property. Make sure the driveway is free for parking. If you have neighbour’s car parked in front of your property, request it to be moved prior the open house. Highlight the interior of your house. If you want the buyers to notice your beautiful fireplace, put an item that will draw their attention towards its location. Be a good host by greeting any potential buyer at the door. Distribute brochures or printed leaflets the moment you walk them through your property. Feel free to discuss the best features of the property and mention that before the viewing ends. Give viewers the chance to explore the property unguided to allow them to get a personal feel of the place. Don’t forget to thank each potential buyer that came to view the property and express willingness to set another appointment if they can’t still make a decision. Also you could ask for feedback on the home and their thoughts. Note: Try not to take buyers feedback personally. Not every home is everyone’s cup of tea. Holding an open house can become successful if you put effort to make this first meeting as comfortable as it should be, to you and the potential buyer. Make sure you dress for this occasion and put your best attitude the moment potential buyers come knocking your door. Keep in mind, many questions will be asked during this viewing and you need to be open minded in giving the right answers.